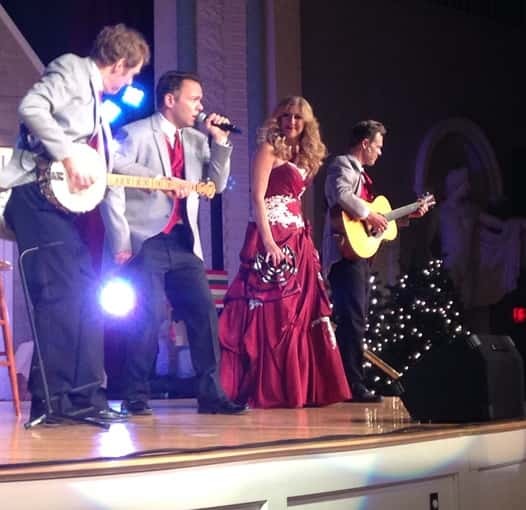 VALLEY CITY, N.D. (NewsDakota.com) – Medora’s hit Christmas show was a big hit once again for the audience in Valley City. 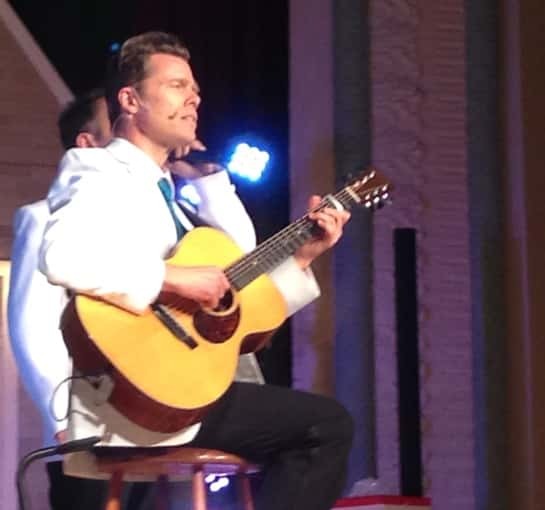 A Magical Medora Christmas show was held in the perfect venue Valley City State University’s Vangstad Auditorium on December 20. 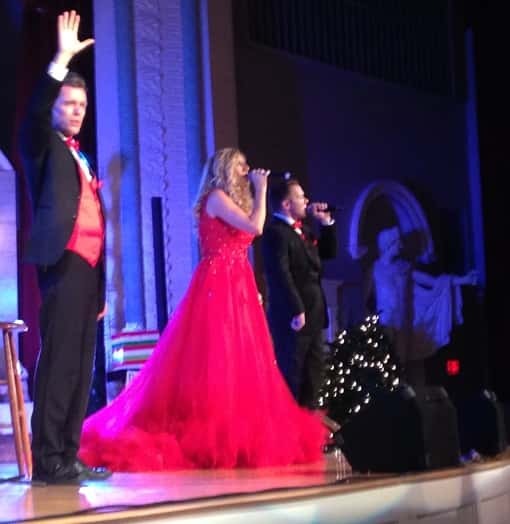 A Magical Medora Christmas featured vocal performances by the amazing Emily Walter, the talented yodeler and Broadway star Jared Mason and the wonderful Broadway soloist Job Christenson. 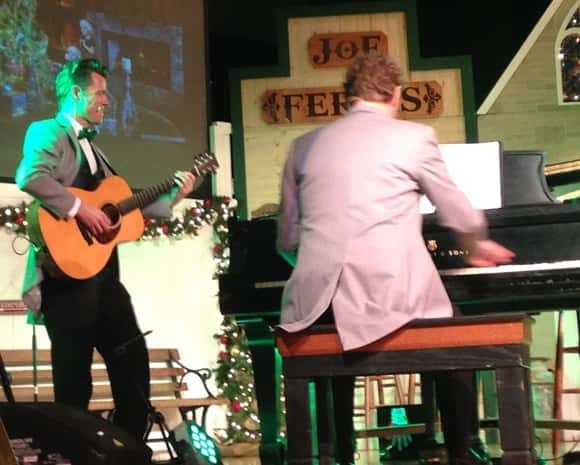 Former Medora Musical bandleader Chad Willow was on the piano and banjo. And Bill Sorensen amazed us all with his magic and humor for the whole family. Above: Broadway Star Jared Mason. 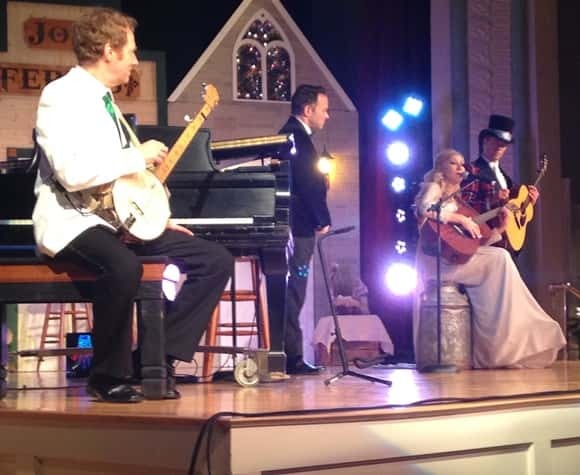 L to R: On the banjo Chad Willow, Broadway soloist Job Christenson, Singer Emily Walter and Broadway Star Jared Mason. Photos by Steve Urness.